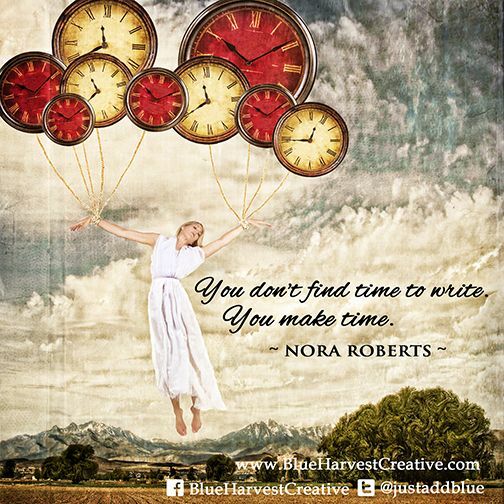 In Around the Writer’s Block, I recommend three habits: Process, Product Time (aka “writing time”) and Self-care. Making and honoring small, regular commitments to each of these three habits will give you profound results in your creativity. 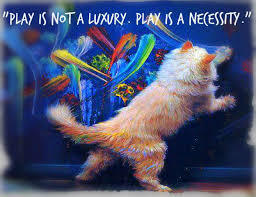 Process is creative play just for the sake of play. Outcomes and results are not important; one of the benefits of Process is that you learn to surrender expectations. fooling around with an instrument (but NOT rehearsing for a performance or recital). Any kind of creative play that you do primarily because it’s fun, counts as Process. Any creative activity you do for the sake of the outcome is not Process. Of course, Process can result in some wonderful outcomes. What makes a creative activity Process is that you’re just as satisfied if the result is messy or incomplete or ugly or anything else. If you knit because you enjoy the colors and textures of the yarn and the rhythm of working with your hands and you also happen to create scarves or mittens or whatever, that’s Process. If you knit to create products you’ll sell at a craft fair, that’s NOT Process. I recommend you do something for Process 15 to 30 minutes a day, 4 to 6 days a week. My standard Process activity is 15 minutes of coloring in a geometric design coloring book or working on a collage in the evenings, Monday thru Friday. Product Time is time you invest in a writing (or other creative) project where you do care about the outcome. Many people call this “writing time,” but that causes them to think in terms of drafting and revising only. The risk is that if you think in terms of “writing time,” you won’t appreciate and give yourself credit for all the work that goes into writing (like research, brainstorming, incubating, etc.) that doesn’t look like writing because you don’t have your fingers on the keyboard. Anything that needs to be done to complete a writing project counts as Product Time. Writing a character sketch, drawing a map of the world you’re writing about, doing background research, even just sitting and staring at the wall while you’re trying to figure out how the plot unfolds, what images or phrases will make your poem sing, or how to structure your essay counts as Product Time. If you show up in your writing space and don’t do anything else (don’t check your email or Facebook, etc., don’t play computer games or work on another project, don’t leave your chair to look for answers in the refrigerator — they aren’t there, I’ve checked), you can count that as Product Time. It’s vital that you evaluate your Product Time only in terms of whether you’ve put in your time, not how many words or pages you’ve produced or how good the writing is. How can you count words when you’re doing research? How do you keep track of words when you’re revising and the goal is to eliminate unnecessary words? And your opinion of your writing in the moment is rarely reliable. I recommend that you commit to no more than 15 minutes of Product Time a day, 4 to 6 days a week. You need to make this an amount of time that is so small, you’ll do it every day you say you will NO MATTER WHAT. If you’re on a roll and want to keep going beyond your 15 minute (or 10 or even 5 minute) commitment, great! My standard Product Time commitment is 15 minutes a day, Monday thru Friday. I often reserve more time for my writing and often write far more than 15 minutes, but I never commit to more than 15 minutes. Writers and other creative people must take care of their brains because this is the source of their creativity and satisfaction. And since the brain is part of the body, usually anything that’s good for the body as a whole is good for the creative brain. Meditation, exercise, getting adequate sleep, making time each day to focus on just one thing (freeing yourself from the demand to multitask so you can be all things to all people) and play are essential for the health and well-being of your brain (and the rest of your body). I recommend you do something for Self-Care for at least 15 minutes a day, 5 or 6 days a week. My standard commitment is to meditate for 30 minutes a day, 5 days a week. If you already have a Self-care practice in place, for example, you already have an exercise routine, you don’t need to add another form of self-care, just recognize that what you’re doing for your health also supports your writing. Start small! If you haven’t meditated before, five minutes is a LONG time. If it’s been months since you’ve worked out, 15 or 20 minutes might be a good place to start. Increase the duration and intensity as you go. 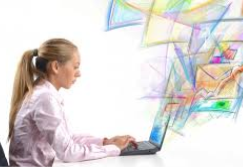 In my experience as a teaching artist and creativity coach, if you commit to as little as 15 minutes in each of these three areas, you will see a big improvement in your writing and in your satisfaction with your life. You can make progress by committing to doing the practices as few as three days a week; you make faster progress when you commit to five or six days a week. If you do more than you commit to, fabulous. But if you commit to writing seven days a week and then there’s a day when you can’t or don’t write, it’s far too tempting to think you’ve failed somehow and just give up the whole idea. This is why I recommend not committing to any of the habits seven days a week. Make your commitments for just one week and renew them each week. If you have a tough week, you acknowledge it, learn what you need to do differently (maybe changing your commitments, maybe changing your actions) and start fresh the next week.